"The best place to stay in Blackpool " As a family-run, independent Guest House, The Mardonia offers you a true home from home in Blackpool. We take pride in the levels of comfort and service we offer to our guests. If there is anything you need that is not currently amongst our facilities, please ask and we'll be happy to try to help. The Mardonia boasts central heating throughout, an extensive choice of breakfast served in our dining room. Coffee or afternoon tea may be taken in our comfortable lounge. All accommodation is non-smoking. The Mardonia is ideally situated Midway between central and south piers which is convenient for the Pleasure Beach and the Famous Blackpool Tower. If you feel like getting away from it all take a bus ride to Blackpool Zoo and visit its newest arrivals or the leafy Stanley Park, where you can stroll around on a summer’s day, hire a boat on the lake and just relax. You can check into your room(s) any time after 3.00 pm until 10.00pm. Please ensure rooms are vacated by 10.30 am. Younger guests are welcome at The Mardonia. 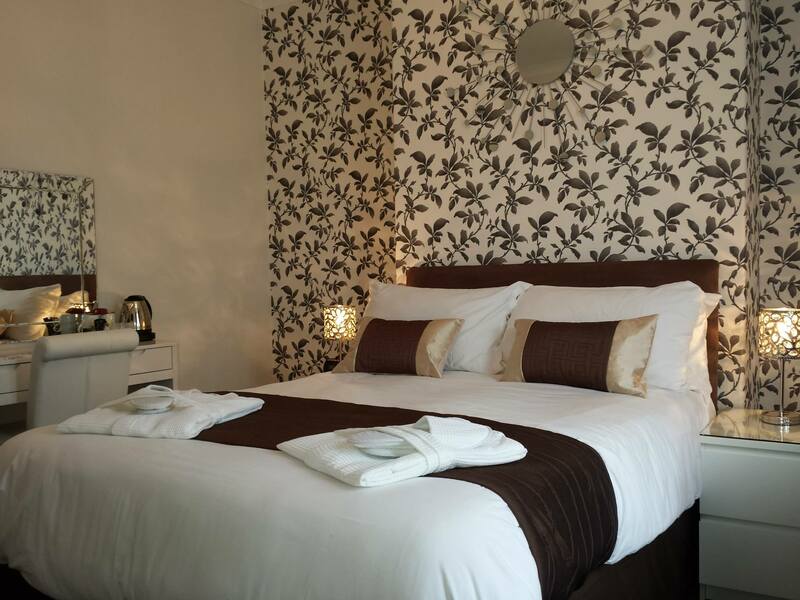 We have family rooms which sleep up to 3 people. High chairs are available in the dining room. Parents are responsible for their children (and their behaviour!) at all times. Our aim is to minimise disturbance for all our guests. A non-returnable deposit is requested of £30.00 per room booked. For your peace of mind and to protect you from cancellation charges, we recommend holiday insurance. Payment is accepted by cash, and debit cards.